My son has completed his Masters in Banking and Insurace. 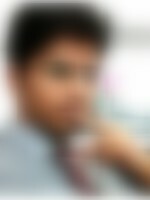 He is working with MNC Bank. We are looking for compitable life partner from our community. We come from a middle class, nuclear family with moderate values. Our family lives in Vadodara, India. His father is a businessman while his mother is a homemaker. He has one sister, who is married.